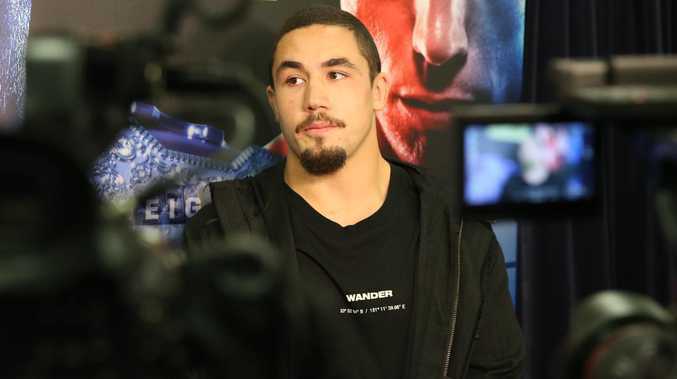 AUSSIE UFC champion Robert Whittaker has been given another opportunity to defend his middleweight belt in an announcement from UFC president Dana White. The Sydney-based brawler will take on USA southpaw Kelvin Gastelum in Melbourne on February 10, ESPN reported. Surprisingly, White confessed the UFC had already planned a backup should Whittaker's bout with Gastelum be plagued with a fighter failing to make weight. White said he had discussed bringing in former middleweight champion Chist Weidman as an alternate for the event. 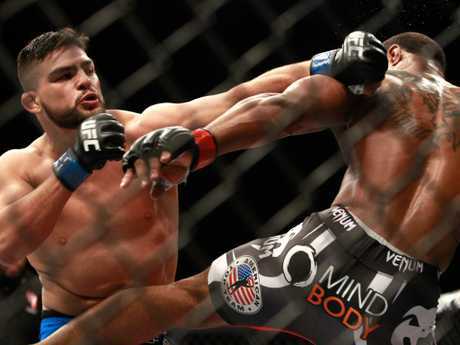 Gastelum, who is 15-3 in his MMA career, is in fine form with his last two fights against Ronaldo "Jacare" Souza and Michael Bisping ending in his favour. The Reaper will take the cage in Melbourne. 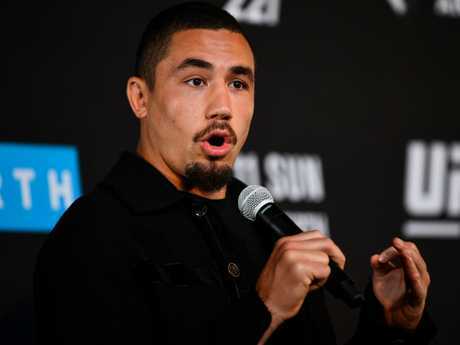 "Initially, I hoped to be right (in time for UFC 230 at Madison Square garden) because I really wanted to fight again this year," Whittaker said in July shortly after defeating Yoel Romero for a second time. "But with the hand, and the other injuries I've sustained from the Romero fight, I think right now the focus needs to be on healing my body. "And given my position, there is no point rushing. "Because getting back to 100 per cent is one thing, but working at 100 per cent is something else entirely. "And given one of my main goals has always been improving my skill set, to do that I need to be working out at 100 per cent. 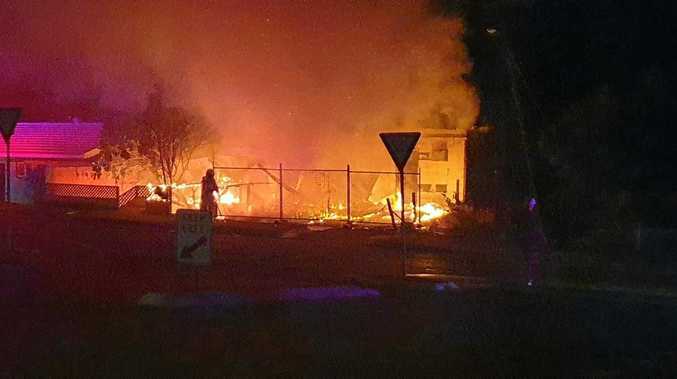 So that's why my return will likely be early next year, either February or March." New Zealand-based fighter Israel Adesanya may have to wait a while for his wish to fight Whittaker after White's announcement. "I'm predicting it. It's going to be at Spark Arena. I've seen it happen so many times in my head. I have visualised it, it's me and Robert Whittaker fighting for the belt. A Kangaroo or a Wallaby versus the All Black," the undefeated middleweight said last week. "If you're not in this game to be the best then there is no point in being in this game. I came here to be the best and to prove I'm the best and that's what I'm going to do. "It's going to be something that will be spectacular to witness when it happens and to be something special to be a part of." His first step towards that trans-Tasman showdown is a win against world no. 6 Derek Brunson on UFC 230 at New York's 'fight Mecca', Madison Square Garden, on November 3. "The magnitude of this fight in terms of ranking is my biggest fight yet. But in terms of skill, I've had harder fights outside of the UFC and outside of Brunson," Adesanya said.